Found at a business at 1985 Cedar Bridge Ave near Airport Rd in Lakewood. Animal control has been called and will bring to OCAF. 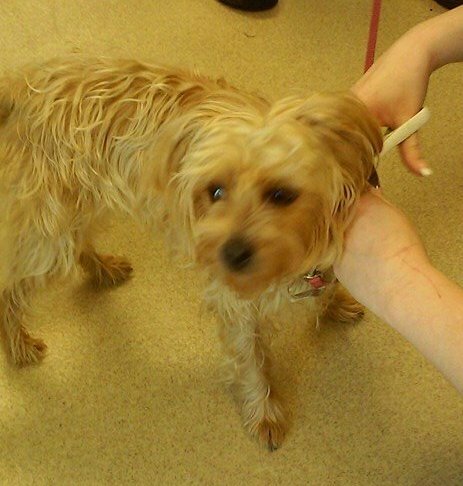 Yorkie mix, female, no chip. Had a rope tied to her neck with pink leash. Company had cameras showing dog running around since Saturday.